When it comes to taking notes, you can’t beat Evernote. With its mobile apps and browser plug-ins, it's incredibly easy to take any article, image, or other data and add it to your personal collection. It’s so easy, in fact, that it often takes less time to add a note than to decide whether you really need it. Before you know it, you've got way more info than you know what to do with. So what are you supposed to do when it comes time to find one of your notes? Manually browsing through them is akin to rifling through a file drawer. 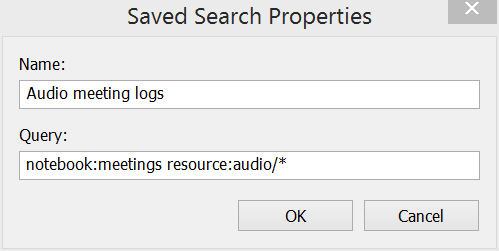 Instead, hone in on what you're looking for using Evernote's advanced search operators. These modifiers let you find notes based on where or when they were created, which notebook they're filed in, or even what type of media they contain. Here are the most useful operators for narrowing your searches. You can get a lot more from keyword search if you know when to use the any: operator. 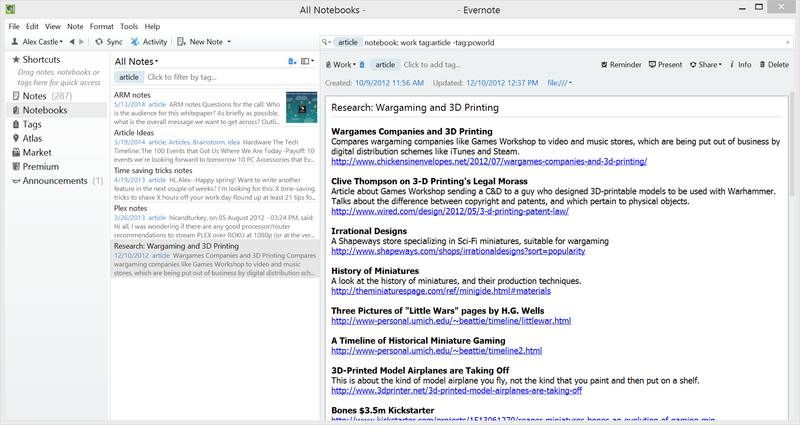 By default, Evernote shows only the notes that include all the keywords in your search. If you’d like to expand your search, put the any: operator before your keywords, and Evernote will show you every note that contains even a single one. For example, the following search will show you all notes with the word "invoice" or "expense." Notebook and tag searches can really help you sort the wheat from the chaff in your pile of notes. 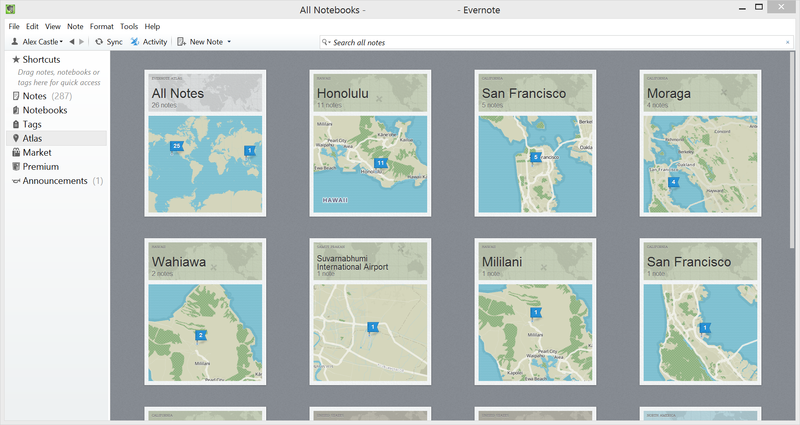 Evernote's Atlas will arrange notes by where they were taken if they have location data attached to them. 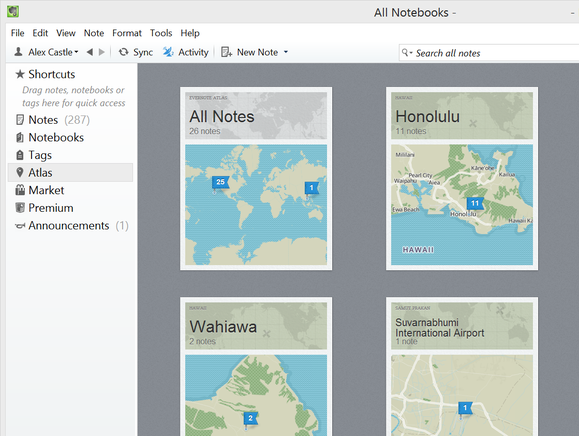 You can even search by latitude and longitude to find notes taken in a specific place. If you're unsure of a latitude and longitude, you can find it in the browser version of Google maps. 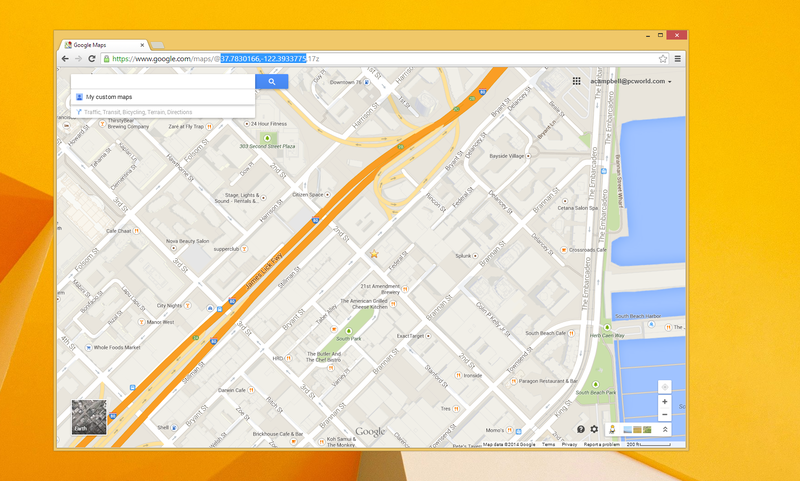 Simply enter the address you're looking for, then clear the search bar by clicking the X. The latitude and longitude of the address will be shown in the address bar. You can get the latitude and longitude of a location in the browser version of Google Maps by searching for a location and clearing the search box. The coordinates are shown in the address bar. 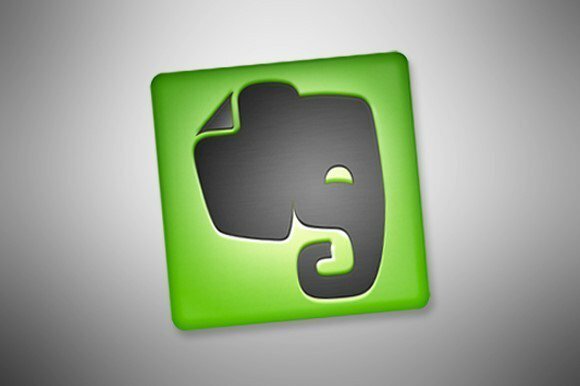 Saving searches in Evernote can save you a ton of time and typing. With these operators, you can make very specific custom searches. If you see yourself using the same search in the future, you can save it by clicking in the search bar, clicking the Save Search button, then giving your search a name and hitting OK.
To see your saved search, just clear the search bar and click on it. A list of recent and saved searches will appear. 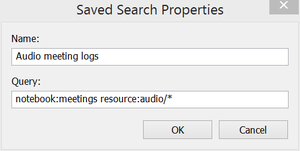 You can drag your saved search over to the bookmarks panel to make it even easier to find later.